Friedrich-Karl “Nasen” Müller was born on 4 December 1912 at Sulzbach in Saargebiet. He underwent flying training in 1934 and joined the German airline Lufthansa. At the commencement of World War 2, Müller was posted to KGz.b.V. 172 as a transport pilot. Feldwebel Müller was assigned to 5./ KGz.b.V. 172. He participated in the Polish campaign. In February 1940, Müller became an instructor at Blindflugschule 4. He was promoted to officer rank during his time with the unit. He served with Blindflugschule 7 from September to December 1942. On 13 December 1942, Müller was transferred to I./KG 50 equipped with the He 177 twin-engine bomber. He was appointed Technischer Offizier during his time with the unit. In summer 1943, Müller was invited to join Hajo Hermann to implement the latter’s Wilde Sau single-engine night interception policies. Hermann considered Müller an ideal candidate for the role because of his blind flying instructing experience. Müller was appointed Technischer Offizier of JG 300 on its inception in June 1943. On the night of 3/4 July, Müller recorded his first Wilde Sau victory. He was to become the leading exponent of this tactic. At the end of November 1943, Müller was appointed Staffelkapitän of 1./JG 300. He had 19 victories to his credit at this time. On the night of 22/23 October, Müller suffered engine failure necessitating his baling out. He received slight injuries when he hit the ground. On 1 January 1944, Müller was ordered to establish 1./NGr 10. The unit was tasked with testing on-board interception equipment in single-engine fighters. Hauptmann Müller was awarded the Ritterkreuz on 27 July for 23 victories. Müller was appointed Gruppenkommandeur of I./NJG 11 on 25 August 1944. The unit was equipped with single-engine fighter aircraft with on-board interception equipment. In the winter of 1944 and 1945, Müller flew many nocturnal ground attack missions against Allied railway trains and supply columns.  He gained his 29th and 30th victories on the night of 20/21 February 1945. Towards the end of the war, I./NJG 11 received a few Me 262 jet fighters to experiment with night interceptions. Müller survived the war but died on 2 November 1987. 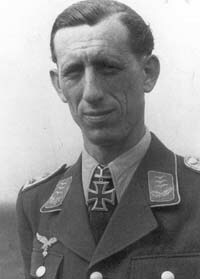 “Nasen” Müller was credited with 30 night victories in 52 missions. All his victories were recorded flying Wilde Sau missions.